Graphic designer Geoff Weiser and former retail buyer, Suji Meswani, are the co-owners of Skeem Candles. Prior to launching the Skeem brand in 2004, this Philadelphia based husband and wife team, did more than a year of research and development to perfect the wax formulation, develop the scents and colors and, of course, create the candles themselves. 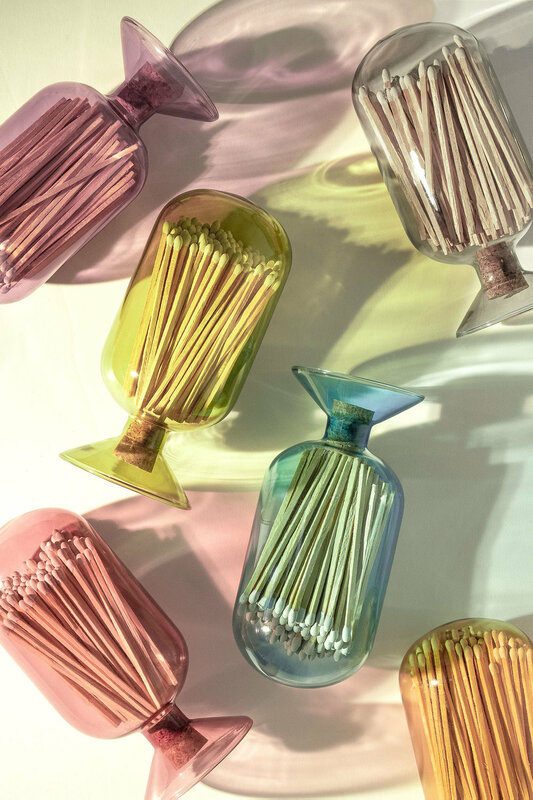 The rich, colorful designs and unique long-lasting scents are inspired by their vast travels which include three to four annual trips to exotic locales such as, India, Costa Rica, and Thailand. More than a candle, once the wax has burned down, Skeem’s gorgeous containers can be re-used as drinking glasses, vases…even sugar jars! *line represented in AZ, CA HI, NV only.